This is a comparison of the styles (including pictures), performance, power, popularity and cost of Ferrari and Lamborghini cars. Lamborghini and Ferrari are both Italian companies that produce popular sports cars. Ferrari currently has four road models: the California (grand touring convertible), the 458 Italia (sports car), F12Berlinetta (grand tourer) and the FF (grand tourer). All of Lamborghini’s current cars are mid-engine two-seat sports cars. These include the Aventador LP 700-4 and the Lamborghini Gallardo LP 560-4, LP 550-2 and LP 570-4. 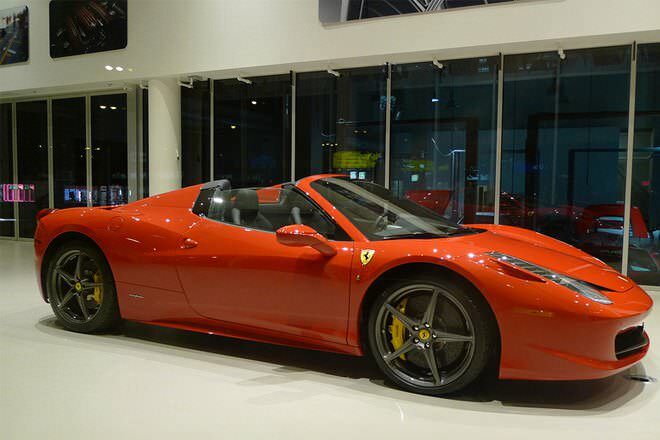 The 8-cylinder models of Ferrari are the Ferrari California, Ferrari 458 Italia and Ferrari 458 Spider. The 12-cylinder models are Ferrari F12berlinetta and Ferrari FF. 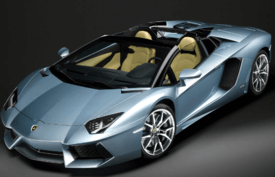 Lamborghini has two models: Aventador and Gallardo, as well as some limited edition models. There are various trims available for each model. The Ferrari California has a top speed of 193 mph and can accelerate from 0 to 62 mph in 3.9 seconds. The 458 Italia can accelerate from 0-62 mph in under 3.4 seconds, with a top speed of 202 mph. The F12 Berlinetta accelerates from 0 to 62 mph in 3.1 seconds, with a top speed of over 210 mph, and the FF accelerates from 0 to 62 mph in 3.7 seconds with a maximum speed of 208 mph. 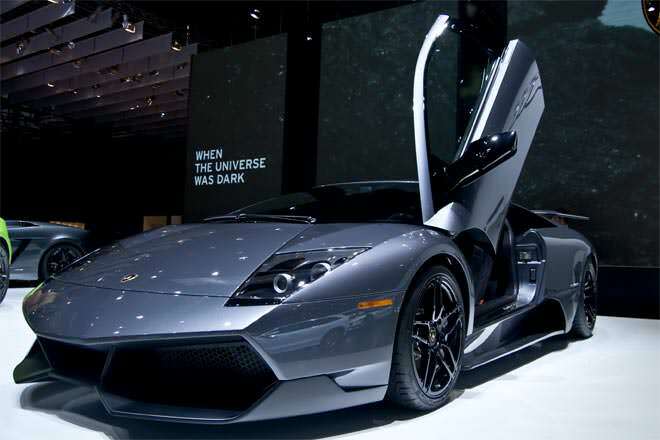 The Lamborghini Aventador has a top speed of 217 mph and accelerates from 0 to 62 mph in 2.9 seconds. 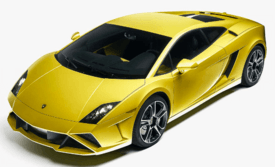 The Gallardo LP 560-4 has a top speed of 202 mph and goes from 0 to 62 mph in 3.7 seconds, while the LP 550-2 has a top speed of 200 mph and accelerates in 3.9 seconds, and the LP 570-4 has a top speed of 202 mph and accelerates in 3.4 seconds. The Ferrari California has a horsepower of 460 HP, while the Ferrari 458 Italia has 570 HP and the FF has 651 HP. The Lamborghini Aventador has a horsepower of 700 HP, while the Gallardo has between 550 and 570 HP, depending on the model. The Ferrari F12 has a 730 HP V12 engine. 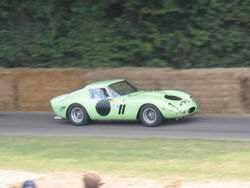 World's most expensive Ferrari: This 1962 Ferrari 250 GTO was sold for a whopping $35 million. According to Yahoo! Autos, the Ferrari 458 Italia is the 5th most popular sports car. 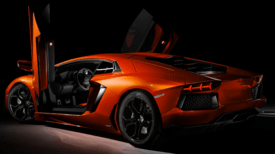 Production of the Lamborghini Aventador is limited to 4000 units. A total of 8165 Gallardos have been produced since their introduction 7 years ago. Current Ferrari retail prices begin at approximately $230,000. The suggested retail price of the Lamborghini Aventador is $379,700, while the cost of a Gallardo ranges from $181,900 to $248,000. Many Ferrari cars were recalled in May 2012 because the engines had a tendency to suddenly freeze. Lamborghini has recalled 1500 Gallardo Coupes and Spyders from 2004 to 2006 because the power steering fluid may leak and catch fire. The Ferrari 458 Spider was named the Best Cabrio 2012 by Auto Zeitung magazine and Best Sports Car and Convertible by The Sunday Times in 2012. The Ferrari 458 Italia was also named Best Driver’s Car in 2011 by Motor Trend. The Lamborghini Gallardo was named the Top Gear Dream Car of the Year in 2006 and the Top Gear Car of the Year in 2009.